If I had been a Mayo, Warihio or Basiroa Indian camped out along Arroyo La Aduana and Aqua Escondido before the Spanish arrived in the Álamos Basin I most likely would have spent quality time atop this hill. It is human nature to seek out 360 degree views from high ground. Instinctively, community survival needs a watch tower in the sky as does each individual searching for their moments of inner refection. 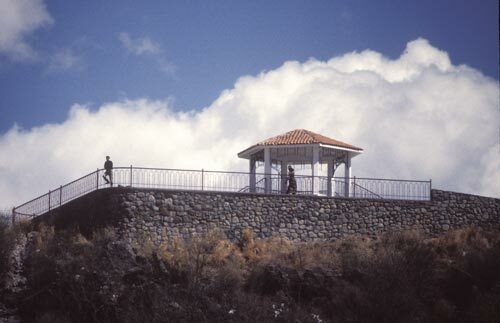 Today, Cerro Perico, aka Mirador, is that accessible spot that everyone who visits Álamos should visit to understand where they truly are. It is late spring, warm dry and dusty, looking south at Sierra de Alamos. 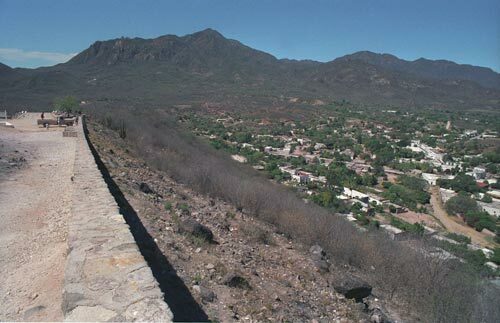 The tropical deciduous forest of Sierra de Álamos and surrounding hills provided building materials, burnable fuel, and mine timbers for the first Spanish settlers. This rich resource of short trees including Palo balanco, torotes, amapa, kapok, Sonoran quava, palo fierro and Montezuma cypress provided fire for centuries. Here the miners found protect-able flat land, reliable water sources and wood. They began to build a town, Real Minas de la Limpia Concepcion de Los Álamos, a short distance from the productive Aduana mines. Our eye is panning from south to west to Cacharamba and Aduana. The Sea of Cortez, today, is an easy couple of hours car ride compared to the many days it took mule trains to bring supplies from off-loading Philippine galleons that used Cacharamba as a navigational aide. Looking to the northwest New Spain feared the advancing Russian, english and French expeditions and settlers. There was an urgent to create a settlement in what is now San Francisco. The Mexican viceroy commissioned Lieutenant Colonel Juan Bautista de Anza to establish a Spanish presence in Alta California. 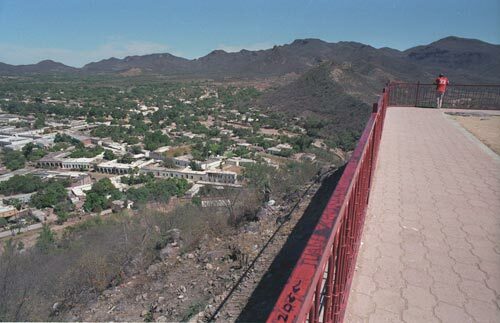 de Anza arrived at Alamos in May 1775 with an additional 150 settlers who joined the expedition as he traveled north through Culiacan, El Fuerte and Villa de Sinola. He regrouped in Alamos. He arranged for new mule drivers, and mules, from Hermosillo to replaced those had that brought him from México City. Here in Alamos, he was given 12,000 pesos by the Royal Silver Bank to buy supplies and pay his troops, muleteers and servants. This would be the most important stop on his mission to protect New Spain’s interests. Looking north one becomes all and all becomes one. In recent times, how many have stood here looking towards “Otra Lado” thinking of becoming part of the great northward migration? Back then, de Anza left Alamos on September 29, 1775 with 200 men, women and children including 49 twelve local families. One day in 1985, I watched hundreds of Mexican men, women and children run en-masse north on Highway 5’s southbound lanes. 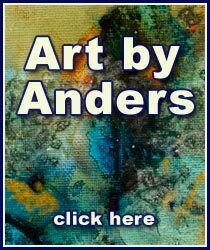 Shortly after, I was visited in San Diego by someone I had met in Alamos, he asked that I not be angry as he headed north to join relatives. The irony is that his relatives maybe be relatives of the first European settlers in California, and I am a first generation American with parents from Canada and Sweden. It is all relative on this small planet, third stone from the sun. De Anza arrived at his destination on March 28, 1776 with 247 colonists and established a presido, military fort, overlooking the beautiful San Francisco, not Little Moscow, bay. “Here is something Special”, Spanish explorer Vasquez de Coronado noted in 1540 as he headed north, passing by tall white rocks on Álamos de Sierra. This is the opening chapter to “A Short History of Álamos” written, filmed and edited by Anders Tomlinson. Narrated by Bruce Miles. Soundtrack by SonicAtomics and Estudiantina de Álamos. 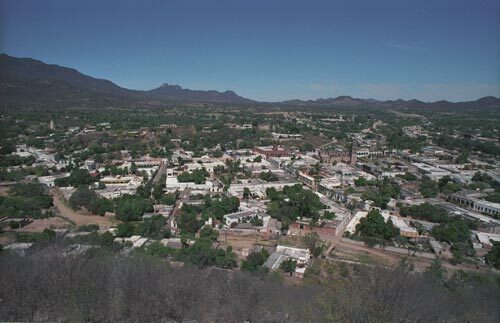 The conclusion to a Short History of Álamos, Sonora, México embraces the Sierra Madre. This page took 0.335 seconds of computer labor to produce.